Derby County manager, Frank Lampard has said that he will not celebrate if his side scores or even wins against old club Chelsea, when they meet in the Carabao Cup on Wednesday evening. The Rams, who are unbeaten in six games and currently occupy a play-off spot in the Championship table, knocked Manchester United out in the last round thanks to a penalty shootout victory at Old Trafford. However, Lampard returns to the club where he spent 13 years as a player, winning multiple honours, and he says it will be easy to keep his emotions in check. Asked by Metro UK if he will show restraint if Derby scores, Lampard said, â€œIt will be easy to do that because I respect the club. â€œWhen I scored against them [for Manchester City in 2014], I didnâ€™t celebrate and I wouldnâ€™t have done in a million years. 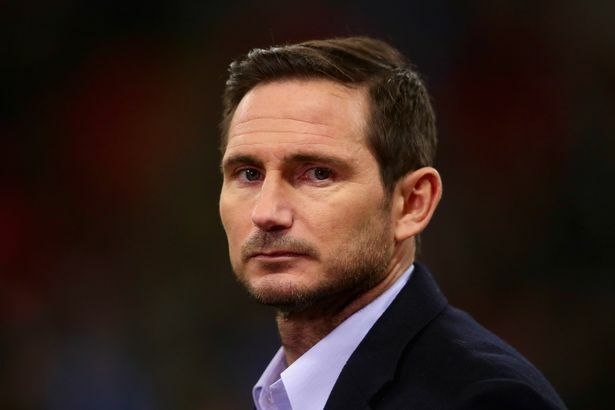 Since taking over Derby, Lampard has brought a more attacking style of football, though he has emphasized the need for the team to work hard defensively if they want to beat Chelsea. He continued, â€œIf we donâ€™t work hard, we will lose. [In a video analysis session] after the West Brom game, I didnâ€™t show the players the four goals we scored.